In between discovering this thing the other day and sitting down to post about it this morning – it was cancelled. 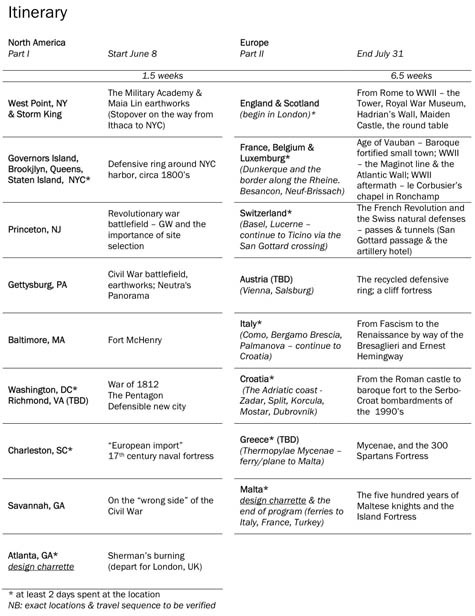 A fortifications tour through the United States and Europe, planned for 2009. And it sounded awesome. 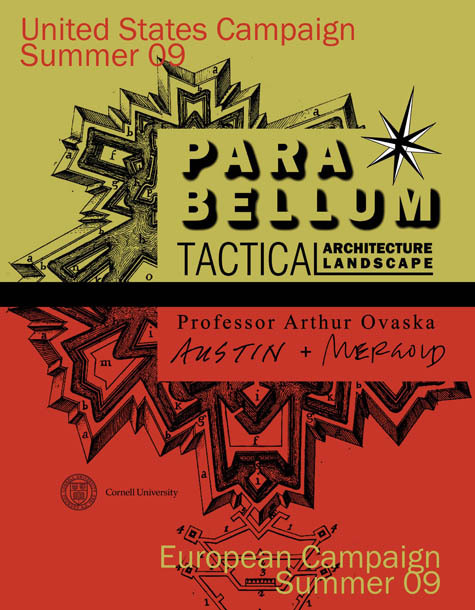 As you can read in the trip's accompanying PDF (3.2MB), Cornell professor Arthur Ovaska, architects Austin + Mergold, and their students would "travel along the east coast of the US and traverse Europe north to south in pursuit of a transformation in space and history of a particular type. 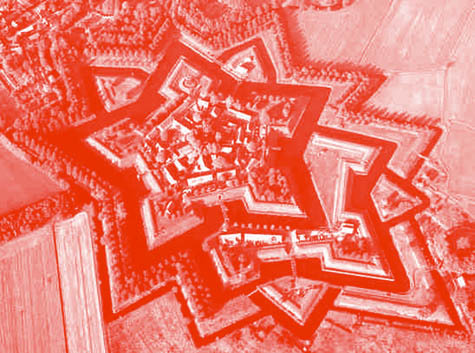 The typology is fortifications. It is neither building nor landscape, but a hybrid, shaped in response to thousands of years of war." 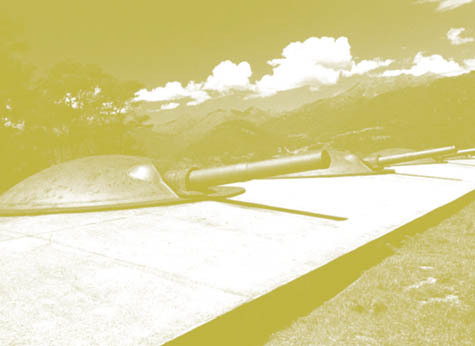 We will study the architectural responses to conflict; their continuing evolution and adaptation to new technology, tactics and politics; as well as their impact on the national, urban and individual scale in the built environment and landscape... 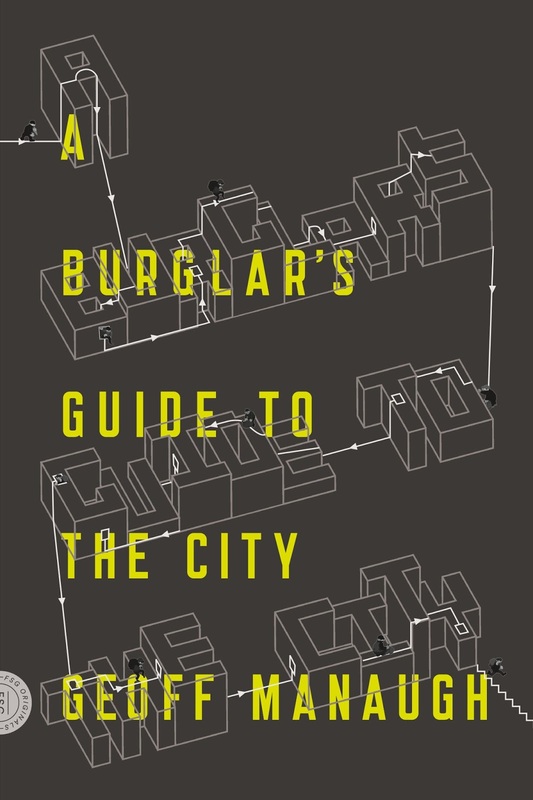 While architects no longer design for war, we have to reconcile with its aftermath through re-appropriation of killing fields for parks, the re-engagement of city centers choked by defensive rings, and the transformation of space formerly traversed by metal and fire into places of peaceful public interaction. Although I don't at all agree with the statement that "architects no longer design for war" – this might be true for, say, Zaha Hadid and Norman Foster, but it is in no way true for military spatialists employed on prototype base housing, prefab field shelters, or even secure urban embassy design – I nonetheless think the very idea of this trip is pretty amazing. The program will begin by travelling down the East Coast of the US (an area that has been fortified against the “invasion by sea from the east and by land from the west”) to look at urban and rural examples of Fortress America and their effects on our built situation today. We will then continue on to Britain and study results of nearly 2000 years of military history expressed in buildings and landscape. Then, traveling along the French-German border (a continuous battlefield for over a thousand years), we will visit mediaeval castles, baroque garden-fortresses and WWII bunkers, in addition to post-bellum architecture such as Le Corbusier’s Notre Dame du Haut at Ronchamp. Next we will make our way into Switzerland and northern Italy to see some of the incredible natural defenses from the time of Napoleon and Garibaldi (area also featured in numerous James Bond movies and written about by Ernest Hemingway) as well as examples of modern architecture built in short spans of peacetime. Travelling down the fabulous Adriatic coast through several Croatian cities (including Dubrovnik – the ultimate walled city) we will observe traces of the Roman, Venetian, and Italian conquests as well as the recent civil war in the former Yugoslavia. After that we will stop in Greece to visit the famous last stand of the 300 Spartans and study the unique landscape of Thermopylae pass. 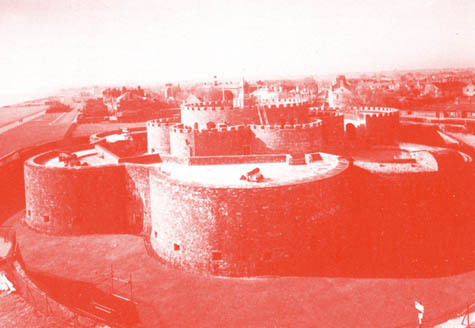 And finally, finishing our Great March across Europe, we will arrive on the island of Malta: a fortified naval refuge of the Maltese order for the last 500 years that is now contending with its legacy of isolationism. 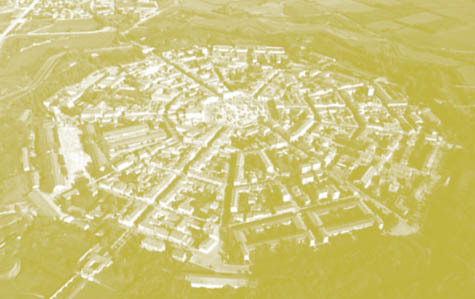 You'd engage in design studios along the way – this sounds so unbelievably cool to me, imagine filling whole sketchbooks and blogs with images of well-fortified hill towns, walled cities, bunkers, and urban cores – and, lest you fear for their absence, we're reminded that "coffee & refreshments will be served." This technology seminar will focus on the evolution of the fortified wall and earthwork construction dating back several thousand years and its influence on current architecture & landscape production. 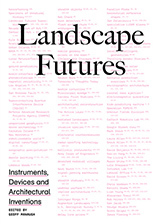 The primary topics in this seminar will include utilizing the vernacular landscape as a source for construction materials; examining construction methodologies and phasing for the production of an earthwork and wall assembly; analyzing the relationship between form and functional operation; exploring the danger/safety nature of the double-sided programmed wall; and dissecting the logic of wall details. Coursework will require a series of analytical sketches, photographic documentation exercises and a final measured project. I have to assume that the trip was cancelled because of lack of enrollment, or some other trickle-down effect of the financial crisis (after all, enrollment, airfare, accommodation, and so on was all estimated at a rather eye-popping $20,000 – perhaps I'm wrong, but I feel like BLDGBLOG could organize a cheaper version of this trip quite easily). 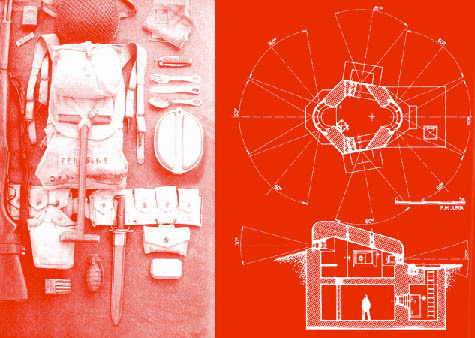 [Image: The pack and the bunker: equipment for landscapes]. Then you visit Spartan battlefields in Greece and update the rest of the world via Twitter. At the end, you all split a book deal. Read more about the actual trip in the original PDF. I would love to do something like this if I wasn't a dirt poor student. Great idea thought. See, now _this_ is the Politics of the Envelope. Fred, you're invited, too, by the way! Just a pity they don't come to Castille, named after the amount of castles in it. Brilliant idea, i'm in! Although 8 weeks is quite a stretch, a more compact edition would work just as well I think. Geoff, you half-jest, but you're right on the money, and you've sparked an idea for event + output. Drop me a line. Edwin, Mike, even a minor version – we visit Hadrian's Wall on a day trip – would be amazing, I have to say. Mike, I'll drop you a line - I owe you an email, anyway! Will be in touch in a few minutes. As one of the original organizers of this trip I must say thanks to BLDGBLOG for finding us (albeit too late to help the 2009 campaign) and for supporting the 2010 trip. We will try to make it happen. Javier Arbona & Nick Sowers are of course invited, along with all the others. 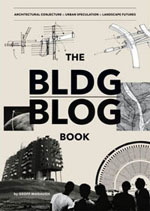 Sign me up for the BLDGBLOG edition. I'm a starving student but I'll join up with you for the European portion. I'll pay my way by serving coffee and refreshments, even! This sounds amazing. I would be down next summer. Geoff, if you organized an affordable version of this tour, I would voluntarily do a standing back flip in thanks. I'm researching the Fort Beauséjour in New Brunswick, Canada as part of my architecture thesis and am craving talks of this nature to enhance my writing. 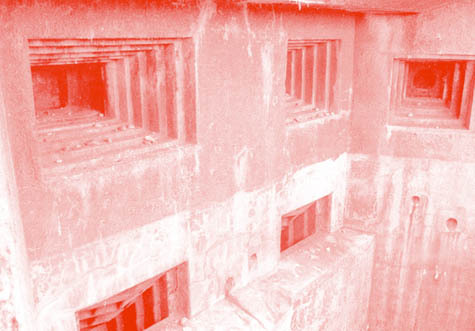 A fortification tour would be rad.